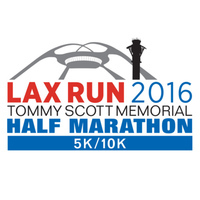 The only race you’ll run at LAX, join the LAXPD and other law enforcement agencies run to raise proceeds for the Tommy Scott Memorial Scholarship Fund. The course will start and finish at the Westchester/LAX Fire Station No. 5, running along the perimeter of the airport (USATF course certification pending). Go to LAXRun.LAAPOA.com for more information about the LAX Run, course maps or to make a donation. PLEASE STAND BY FOR UPDATED PACKET PICK UP INFORMATION.